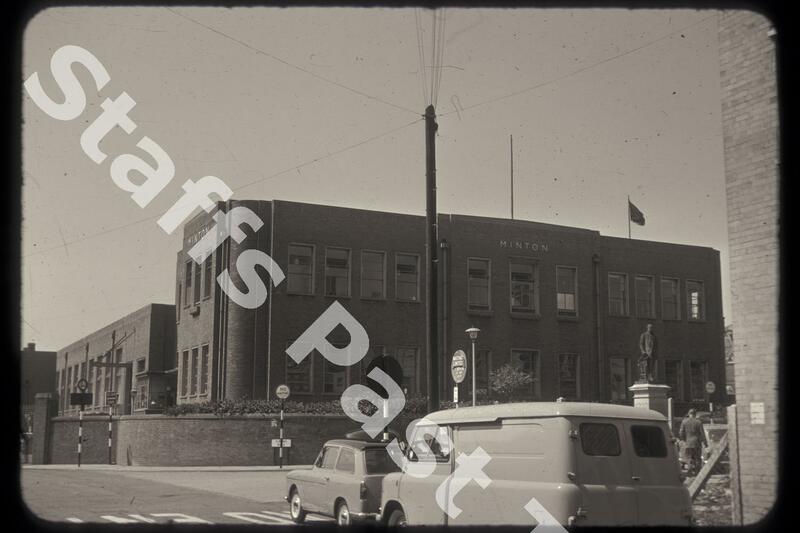 Description:A view of the "new additions" to the Minton factory from the corner of London Road and Fleming Road in Stoke. To the right is the statue of Colin Minton Campbell. 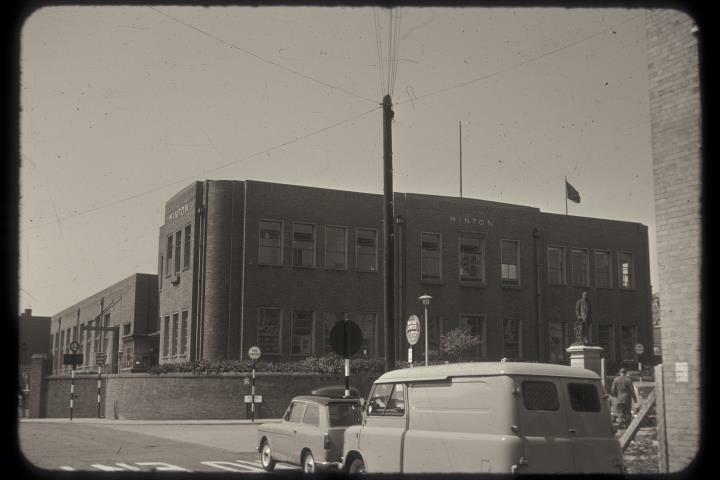 It was originally in Campbell Place (1887), moved to London Road in 1954 and is now in front of the supermarket which occupies the site of the Minton works and offices on London Road.